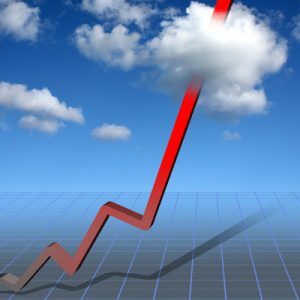 Do we realize the potential of Cloud? - P.Schmidt Consultancy Services B.V. Most of my blogs are inspired by answers or situations and this blog is about the question, whether we realize ourselves the potential of the Cloud. I recently offered the Software as a Service (SAAS) E-Sourcing solution of Marketdojo to alleviate the administrative burden of having to manage 5 suppliers by exchanging e-mail messages. The E-Sourcing solution of Marketdojo is designed to start an RFP project in a very short time span. Existing spreadsheets can be re-used and transformed into a modern Web-based environment. This is not only pleasant for the buyer, but also for the suppliers as the entire sourcing process becomes fully digitized. Cloud as the cloud is intended, risk-free and geared to boost productivity at the earliest convenience of the user. I realized that some people still do not fully understand the power of the Cloud as the department was very busy and the evaluation of such productivity tool would need to take place sometime in the future and moreover the solution would need to fit into the Application landscape. Cloud is present today, solving today’s problems, leaving time to ponder future steps to take.